Click here for sustainable buildings! 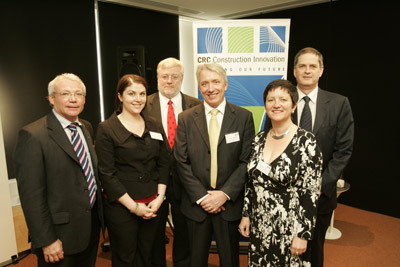 Launching the Your Building website: (L-R) Keith Hampson, Construction Innovation; Naomi Norman, QUT; Tony Marker, AGO; James Shelvin, Department of Environment and Water Resources; Caroline Pidcock, ASBEC; Tony Stapledon, Your Building project leader. 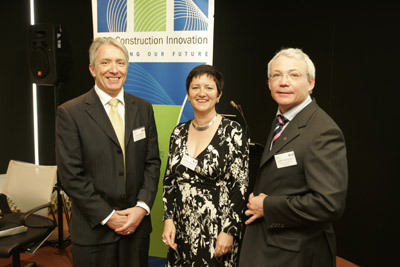 Launching the Your Building website: (L-R) James Shelvin, Department of Environment and Water Resources; Caroline Pidcock, ASBEC; Keith Hampson, Construction Innovation . 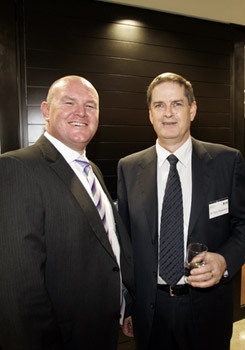 Launching the Your Building website: (L-R) George Websdale, Stockland; Tony Stapledon, Your Building project leader. Your Building, a new $1.5 million internet portal which builds industry capacity to create green and profitable commercial buildings, is now available online. “Your Building lays the groundwork for sustainability in the building industry,” said Construction Innovation CEO Keith Hampson. 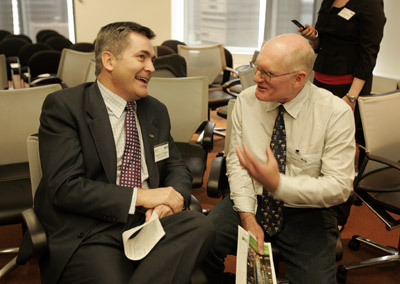 The site – http://www.yourbuilding.org/ – was developed collaboratively by the Australian Greenhouse Office within the Department of the Environment and Water Resources, Construction Innovation and the Australian Sustainable Built Environment Council (ASBEC), with input from an Industry Taskforce. It features, in a single location, internet links to thousands of individual sources of information on current sustainability practices, regulation, technological innovations and case studies on sustainable commercial buildings. How-to-guides on developing business cases for green developments and refurbishments also feature on the site. “Your Building is a terrific resource for the entire industry, whether you are a property owner, developer, tenant, designer or manager,” Dr Hampson said. Dr Tony Stapledon, project leader of Your Building, said the site would help tackle barriers to successful business cases by demonstrating how to lower development and capital costs, reduce liability and risk, increase tenant productivity and give buildings a green premium. “Creating green buildings which reduce environmental impact can have enormous benefits for the owners, the occupiers, the employees, the business, as well as benefiting the city and the natural environment. Importantly, they do not necessarily cost more than normal buildings,” Dr Stapledon said. Your Building was launched at Stockland's head office in Sydney on 28 September by James Shelvin, First Assistant Secretary of the Policy Coordination Division, Department of the Environment and Water Resources. Your Building is sponsored by Architectus, Arup, BlueScope Steel, Boral, Building Commission, Connell Wagner, Fletcher Insulation, Leighton Contractors, Stockland and Szencorp. Construction Innovation is running a series of industry seminars on Your Building, featuring case studies of sustainable commercial buildings and information on developing a business case and air quality around Australia in October.